Prepare yourself for an unforgettable week of Vanguard Spirit! Music Camp is a four-day long event packed with summer fun, music rehearsals, exciting activities, and more. Music Camp is a great way to build community with your peers and familiarize yourself with the university! Music Camp is open to all current and incoming Vanguard University students, who intend on joining and participating in University Music Ensembles. All music majors and minors, as well as ensemble members, are required to attend. 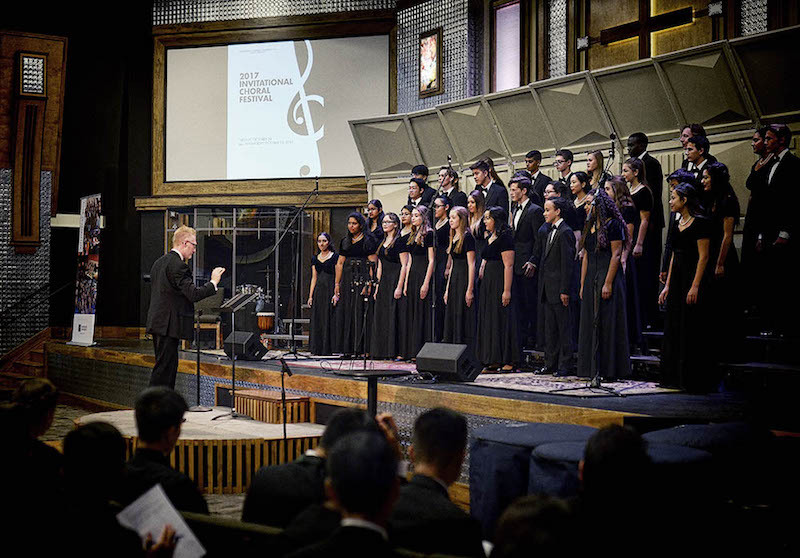 The Invitational Choral Festival has grown to encompass nearly 500 high school students, who are able to showcase their ensembles' set of choral selections and receive live feedback from a professional adjudicator. It gives the students an opportunity to perform, hear choirs from other schools, and gain constructive comments and exercises which can help them improve their overall sound. The festival is separated into a Women's Choir Festival and Mixed Choir Festival, with our University Women's Chorus and University Concert Choir giving a final performance on each day, respectively. The Annual Christmas Fantasia Concert celebrates the joy of Christmas through Vanguard University's exquisitely talented students and nationally-known music program. It is our biggest concert of the year, and features a number of ensembles throughout the entire music department, including the University Concert Choir, Women's Chorus, Orchestra, Jazz Ensemble, Guitar Quartet, LIFEsong, and Vanguard Singers & Band. 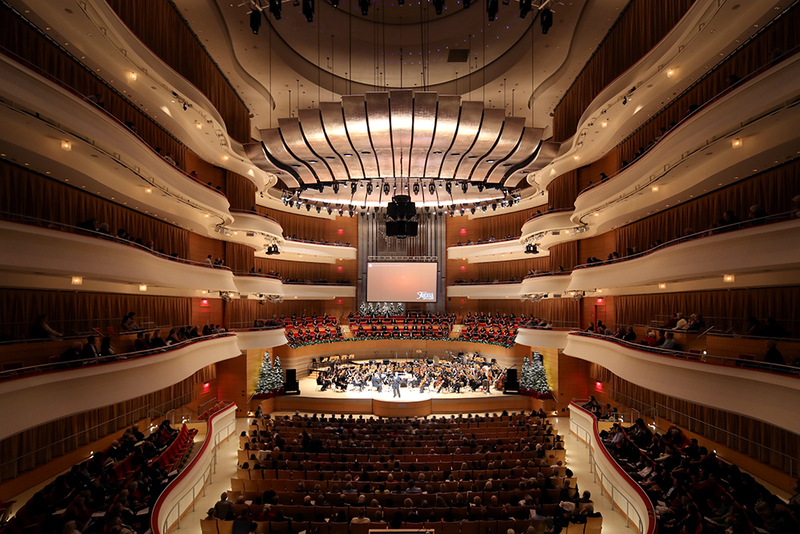 Held in both St. Andrew's Presbyterian Church and the extraordinary Renée and Henry Segerstrom Concert Hall, Christmas Fantasia is a magical evening filled with the spirit of Christmas that you won't want to miss! 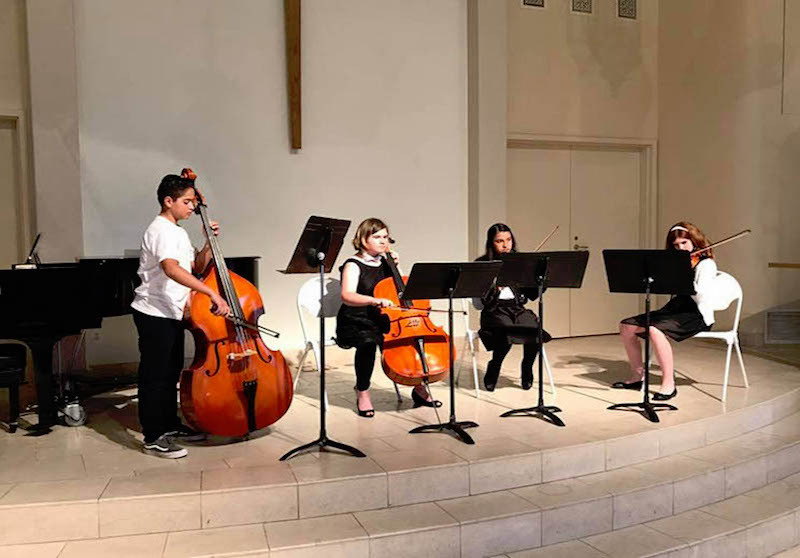 Vanguard's Solo/Ensemble Festival hosts young musicians (grades 5-12) in the community and provides them with an environment that allows them to learn, perform, and enjoy music from their peers. The day is filled with clinics that are adjudicated by our department's professional and accomplished faculty in which they will receive commendation for their work and constructive feedback. Following the clinics will be an evening recital. Students and groups who received a superior rating on their adjudications will be invited to perform in the recital alongside the university's Chamber Music students.